In late spring I started researching a new poetry project, inspired by a framed family tree in my grandmother’s hallway. She had spent 20 years of her life researching our family history in records offices, historical archives and libraries across East Yorkshire. I remember spending long afternoons with her, back in the 1980s, and often accompanied her as she flicked through reels of microfilm on big screens in darkened rooms. I was a bored child, whose task was to write down dates of birth and causes of death as she squinted at blurred newspaper articles. My grandmother’s great grandfather, Matthew Gains Mudd, lost his life at sea in 1894. His name stands out on the framed family tree, and I started to wonder what the story was behind his death. He was from a long line of mariners who lived and worked in the Hessle Road area, where my grandmother was born and grew up. In her back room, buried beneath piles of old magazines, was a series of boxes that contained clippings about his death. She pulled out folders of documents, including the List of Lost Trawlermen, fragile baptism certificates from the Seaman’s Bethel, and faded photocopies from the Hull Daily Mail. Her handwriting drew maps from name to name, with cross references to other files in the box. Over the course of an afternoon we started to piece together the story of one of Hull’s biggest maritime tragedies in the nineteenth century. The story we uncovered formed the roots of my new poem, Beyond the Silver Pit. I have spent the past four months researching and writing the poem based on the life of Matthew Gains Mudd, and his final, fatal voyage on to the Dogger Bank on 22nd December 1894. 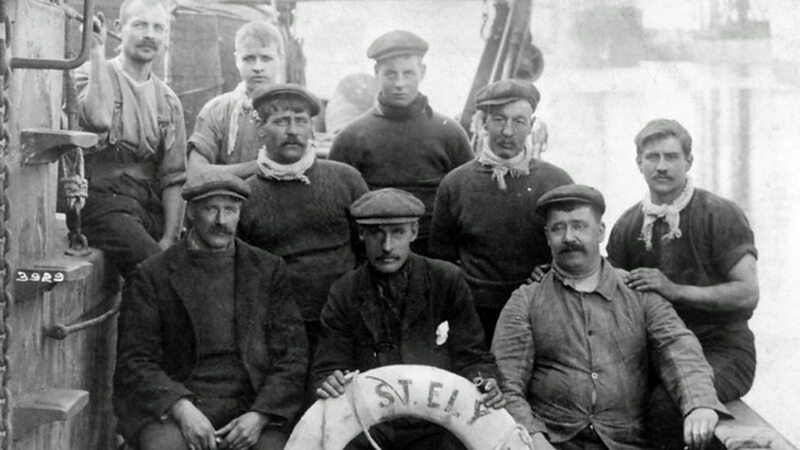 Matthew lost his life with 107 other men, in a violent storm that destroyed eight smack boats and five steam trawlers from the Great Northern Fleet. They were hauling the catch before heading home to Hull to see their families for Christmas. This tragic event began on the winter solstice, around the Silver Pit fishing area, approximately seventy miles north-east from Spurn Point. This region is known for its lucrative fishing grounds but also suffers from hazardous conditions in its shallow waters. It was once known as ‘The Cemetery’ due to the amount of wrecks on the sea bed. In the pre-Ice Age era Dogger was the piece of land that joined Britain to mainland Europe. Fishermen have been known to pull up oak trees, mammoth skeletons and peat soil in their nets when fishing in the area. Click hear to read on and hear the poem….